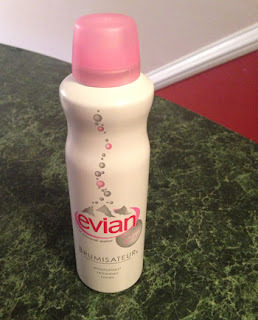 THE SKINNY: Evian Brumisateur Facial Spray falls into the category of cool idea, but why would I ever use it? This can contains mineral water that you can spray on your face after a workout or when you are hot. And you have to pay for it. KEEP OR TOSS: Keep. I might use it after a workout if I can't hop immediately in the shower ... but I would never pay for it. CHECK IT OUT: This product is available from Sephora in several sizes and surprisingly gets great reviews.